FROSTBURG- Charlotte Anna (Wilson) Folk,87, passed away on Tuesday, October 2, 2018 at Sterling Care at Frostburg Village. Born April 15, 1931 in Frostburg she was the daughter of the late Victor C. Wilson and Pansy (Garlitz) Wilson. She was also preceded in death by her husband Harry W. Folk, Jr, son Harry W. Folk III, and granddaughter Callianna Folk Duncan. Mrs. Folk was a homemaker and a member of the Frostburg Church of the Nazarene. She was active in her church. 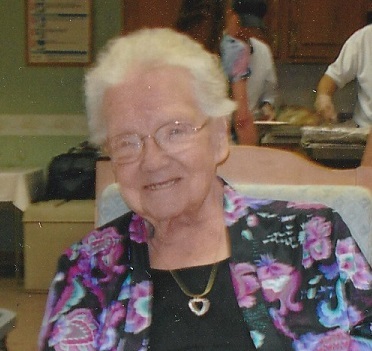 She enjoyed quilting and volunteering at Frostburg Heights. She is survived by children, Eugene L. Folk and wife Donna of Virginia; Debra McGuffin and husband Rick of Colorado; Michele L. Hetz of Cumberland; Duane W. Folk and wife Ruth of Shaft; 12 grandchildren, 32 great-grandchildren, and 6 great-great grandchildren. Also, sisters, Wilma Phillips of North Carolina; Sandy Price of Virginia, and Victoria Butler of Frostburg. A memorial service will be held at a later date.